Menumbok is the sub-district of Kuala Penyu (literally mean the Bay of the Turtle), which is located in the southwest of North Borneo (Sabah). Most of the people here are farmers and fishermen, and many of them are also involved in the "water taxi" ferrying passengers using high speed boat from here to Labuan. Much of Menumbok is covered with coconut plantations, but it is giving way to the more productive palm oil. 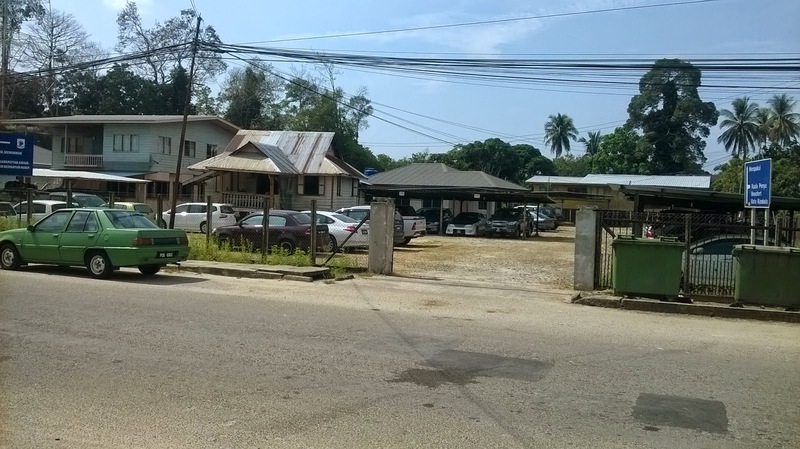 The activities of this small town are mostly geared to cater for the travelers going to and coming from Labuan and hence we see a lot of restaurants and "car motels". The motels are meant for housing the vehicles so the owners can travel to Labuan freely using speedboat. The motels charges 5 Ringgit per day for un-shade vehicles and 10 Ringgit for the shaded one. The above picture shows one of the car motels. Actually, all these used to be residential houses, but the business of housing the cars are too lucrative to overlook. 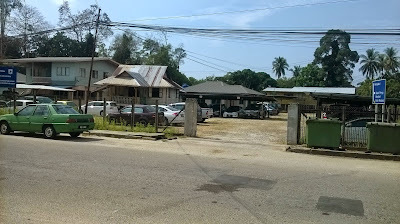 During the school holidays, these motels are totally packed with cars forcing the latecomers to turn back and give up travelling to Labuan. The Menumbok town became active with visitors when the price of airplane shoot up in the mid 2000. Before this, it was extremely cheap to fly to Labuan from Jesselton (Kota Kinabalu) and thus many feels traveling via Menumbok is a waste of time. However, when the plane ticket increased 300% and more, only then Menumbok became relevant. 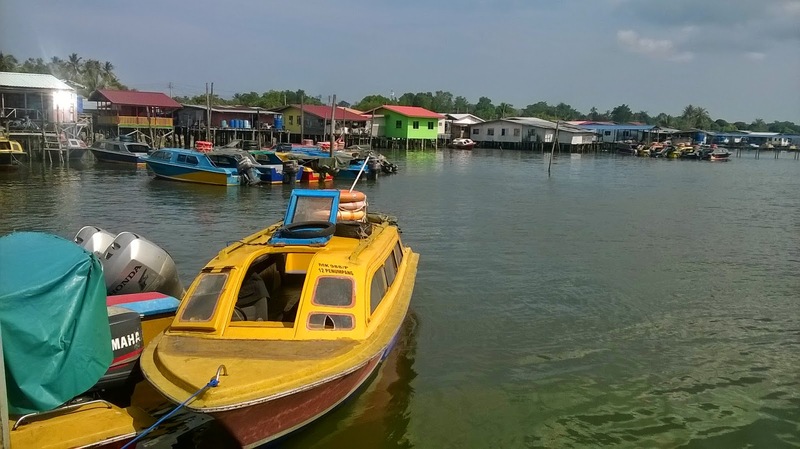 From Menumbok, there are two types of transportation to Labuan, by speedboat which cost 15 Ringgit per person, or using the Ro-Ro Ferry, which carries both people and vehicles. It is much slower, but travelers only need to pay 5 Ringgit. Vehicles are usually charge 50 Ringgit or more depending on the cargo we carry. This is the Menumbok water village. Many of the people here operates the water taxi (speedboat) as their source of income. The water village is very common found all over Borneo. Most of the dwellers here are Brunei Malay Muslim. The water village created big problem for the Spanish when they invaded Brunei in the mid 1600.